In identifying potential competitors in the new strategic regions, this book illustrates six indicators including industrialization level, the advance of urbanization, labor growth, capital accumulation, logistics convergence and land appreciation. In addition, as the formation roadmaps of the new strategic regions are different, it is necessary for us to further reform and innovate the relevant regional policies. The book has a general report and ten sub-reports. The general report is about new strategic regions to shore up future economic growth in China. The ten sub-reports are as follows. Sub-report 1: An analysis of China’s future economic growth trend. Sub-report 2: An analysis of the development of China’s regional economic structure and its influencing factors. Sub-report 3: Roadmaps leading to new strategic regions supporting China’s economy. Sub-report 4: The position of and role played by and measures taken by the government in forming strategic regions in the new era. Sub-report 5: The international experience in cultivating, developing and expanding growth poles. 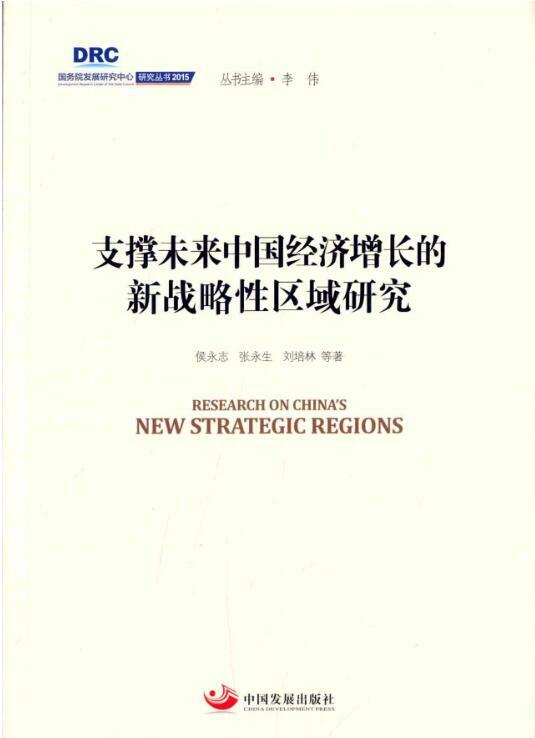 Sub-report 6: A study on the development of strategic regions in eastern China. Sub-report 7: The formation of new strategic regions in central region. Sub-report 8: Policy options on accelerating the cultivation of new growth poles in northeast China. Sub-report 9: Approaches, strategic focus and policy options on the cultivation of new growth poles in northwest region. Sub-report 10: A study on regional growth pole in southwest region.